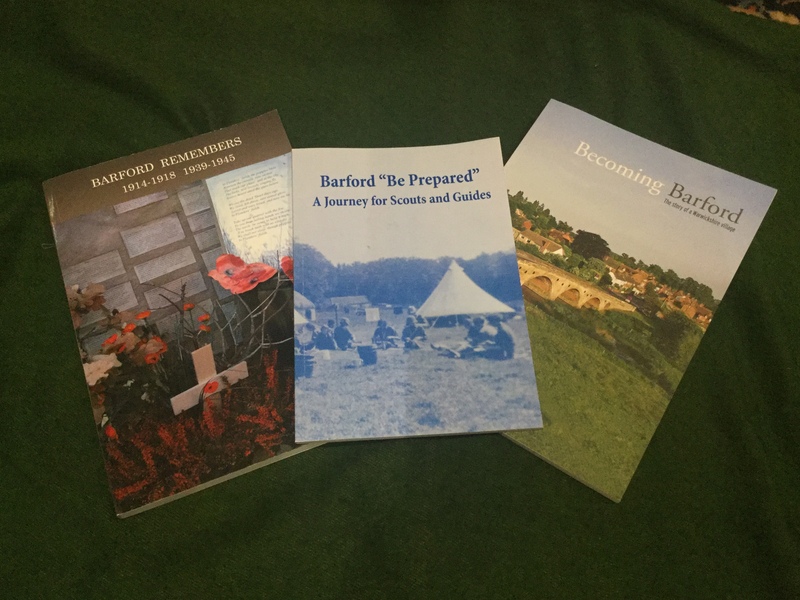 We have so far, produced three books, covering various aspects of Barford’s History. Funds from their sale go to support our research, to publishing more books and booklets and to support the website. We are donating profits from Barford Be Prepared to the campaign to provide a new scout and guide hut in the village. They contain a lot more detail than is available at present on the website. To order, email admin@barfordheritage.org.uk and we will send you details of how to pay. Sorry, we are an amateur organisation, so we can’t take payments directly through the website. 100 pp. Large paperback format (24 x17 cm). A history of Barford from prehistoric times to the present day. Fully illustrated with many colour images. A history of the Scouts and Guides of Barford. This page was added on 24/01/2018.